YOU'RE READING Has the ANC's latest seemingly sexist campaign gone too far? 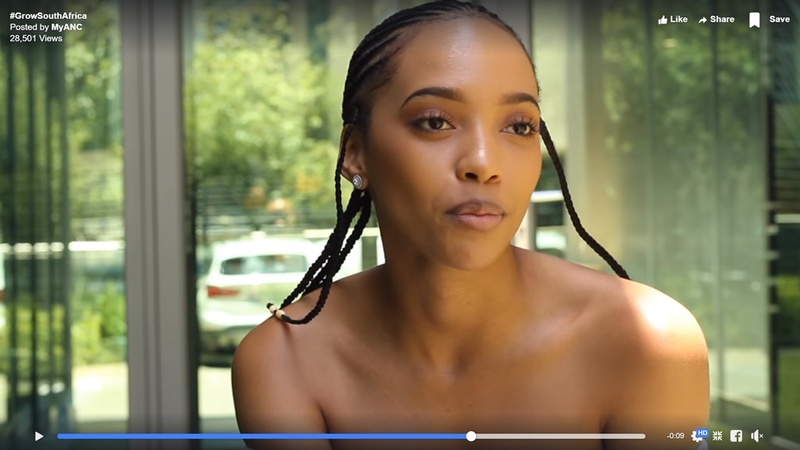 Some say that one of the videos appears to be more like a skincare advert while others see it just as ‘eye candy’, but there’s much more going on with the ANC’s #GrowSouthAfrica campaign published on its Facebook page. The video series includes a mix of young people sharing a message about the ANC. At face value value, it would be regarded as an ordinary political campaign, except that when it comes to the women chosen to participate there is a pattern regarding their physical features. And the way they've been cast and shot. The video that has attracted the most attention is one of a young woman speaking about how her neighbourhood has changed under the ANC’s government. No problem there - they're just trying to attract our votes, right? This could have been a body lotion advert not a whole ANC election campaign. The woman is young, conventionally beautiful, light-skinned (flawless too) but what is she 'selling'? Even though she is wearing an off-the-shoulder top because of the way that she has been shot means you hardly see it, so that she almost appears naked. As she poses seductively, winking at her audience. The next video also features a light skinned woman who has a full face of makeup and is also conventionally beautiful. Nothing wrong with that either. The next video which features a woman, which has her in a backless halterneck dress. She's also light skinned and conventionally beautiful. Also nothing wrong there. Except when you compare the men featured in the same campaign. Take a look at this one. I couldn’t help but notice the difference in the format of the video between the women and men. 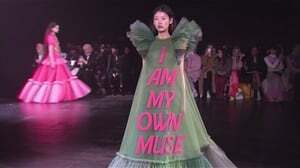 The women’s videos have a different tone – edited with effects like slow motion, extreme close-ups of the lips and long-lashed eyes, playing with their dresses or tops, and over the shoulder poses. All of which don't feature in the videos with men. READ MORE: Mshoza on her multiple cosmetic surgeries: "I want to be perfect"
In a press briefing at Luthuli House, ANC Head of Elections Fikile Mbalula addressed the media and denied that the ANC is “using women” to campaign. “We don’t look at social status, we engage with people, we don’t script them and they express their view about democracy,” he said responding to one of the interviewees who he said is a model. READ MORE: WATCH: "What's wrong with skin lightening?" He added that the party wants young people to use their celebrity to advance democracy. “I think the issue of patriarchy is actually in the mindset of perverts and basically those who define women as sexual symbols,” he said. The former minister said the ANC does not have an agenda to undermine gender issues. The ANC spokespeople did not respond to calls for further comment. "White is seen as more desirable"